From the Ballpark to Your Backyard - Schaefer Advertising Co. When Nolan Ryan Beef made Kroger their exclusive retailer, they asked us to help generate awareness for this partnership while driving customers to Kroger stores to buy beef. With a limited marketing budget, we had to get creative if we were going to make a splash in a market the size of the DFW Metroplex. Luckily, “getting creative” is kind of our thing. 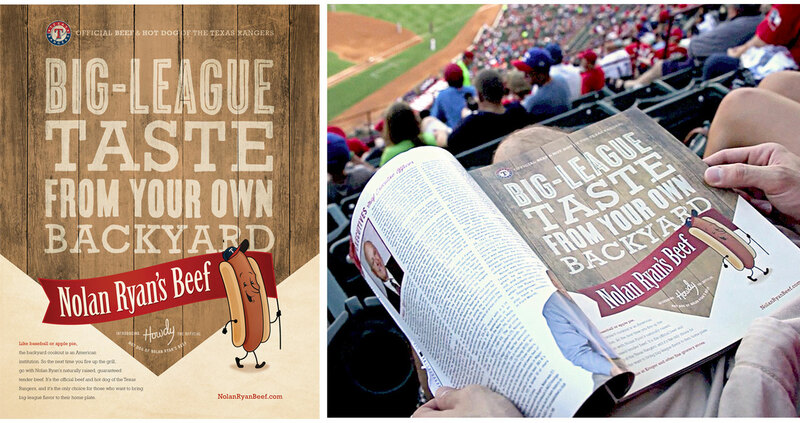 If there’s anything more creative than pairing up NOLAN RYAN Beef and the Texas Rangers, we don’t know what it is. 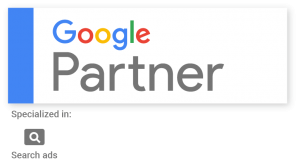 So instead of sinking their marketing dollars into traditional advertising media, we recommended that they pursue a sponsorship with the Texas Rangers. They didn’t have the budget to be a top sponsor in the Ballpark, but we helped them make the most of what they could afford. With Nolan Ryan Beef as the official beef sponsor of the Texas Rangers, we felt that someone needed to be the official spokesman of Nolan Ryan Beef. Enter Howdy the Hot Dog. Born from a dry erase marker and a window, this guy could be seen everywhere you looked in the Ballpark: concession stand signage, hawker boxes, Jumbotron and more. We even helped design an entire concession stand. We made it virtually impossible to miss Nolan Ryan Beef. In the first year of the sponsorship, the Texas Rangers sold more hot dogs than any other ballpark in Major League Baseball. Nolan Ryan Beef doubled their sales with Kroger and even saw a spike in sales in their online direct sales. Answering the question, what’s more American than hot dogs and baseball? Cartoon hot dogs and baseball.